The idea of developing a platform to bring universities and businesses together specifically at the PhD level was originally born in 2015 at a project incubation meeting in Riga organised by the European University Foundation. Ever since the consortium engaged in writing a project proposal that was approved in the frame of the Erasmus+ Knowledge Alliance programme for the years 2017-2020. 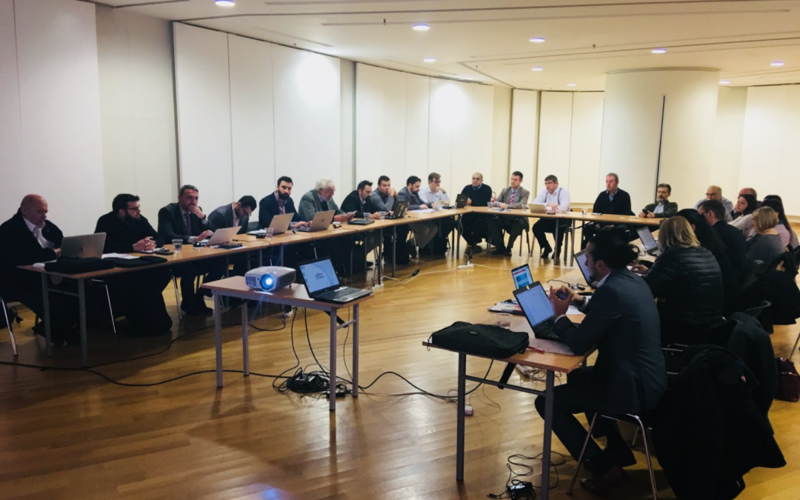 On December 7th and 8th 2018, the whole consortium met in Thessaloniki for the kick-off meeting of what will become the single online resource for business-driven research. Partners discussed an ambitious timeline for the implementation of the project activities and how the design of the online platform will best fulfil the needs of academics and business partners. The European PhD Hub will be developed through seven work packages which will cover preparation, technical development, implementation and dissemination.